Does the warmer weather have you itching to get outdoors and explore all that the Buckeye State has to offer? We have our share of things to see in Ohio that are pretty quirky, but the fun doesn’t stop there. 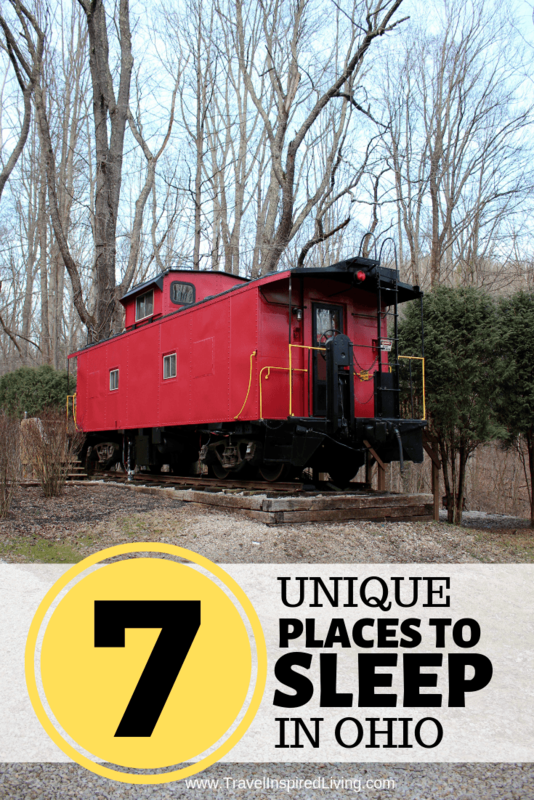 Did you know Ohio also has treehouses, train cars and castles you can sleep in? And that’s just a start! More unique properties are popping up throughout the state every day! With so many options, why not step away from the ordinary, skip the average hotel room and plan some fun overnights in one of these unique attractions in Ohio? You’ll find adult-only options for a romantic night away from the kids and several selections that are family-friendly and ideal for making memories together that will last a lifetime. None of the properties below require a ton of preparation. Make your reservation, pack your bags and depending on which option you choose, you may want to hit up the grocery store and either pick up a bottle of your favorite bubbly or ingredients for S’mores and some bug spray. That’s it. We’re fans of simplicity around here. Take a look at these seven places to stay and let us know which ones is at the top of your bucket list. 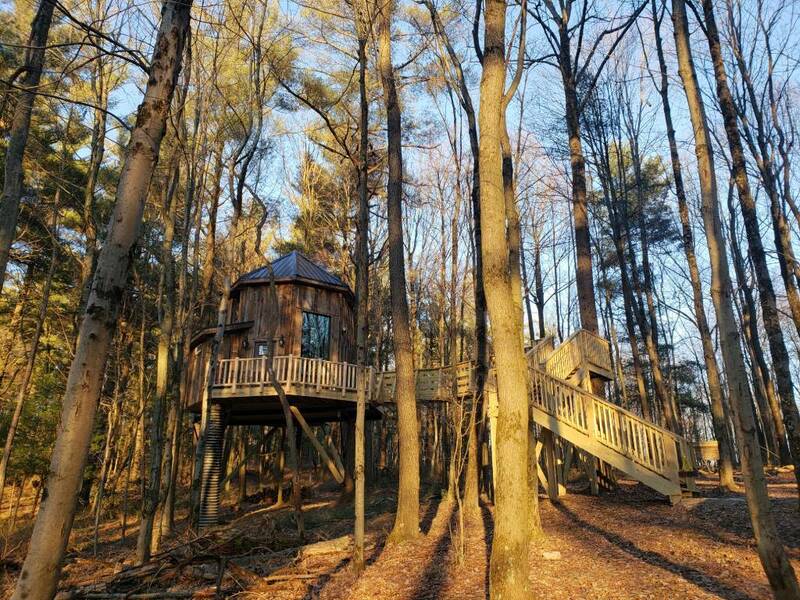 Ohio has no shortage of unique places to stay during your next getaway. Whether you opt to spend the night with the kids in the family-friendly caboose or plan a romantic Scottish-themed weekend in a croft built for two, we're confident you'll find someplace fun to rest your head and get a good night's sleep. 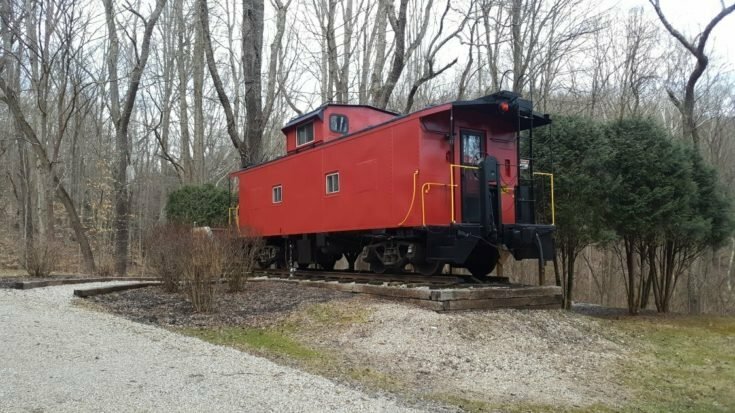 This family-friendly caboose is situated in the heart of Hocking Hills near some of the best hiking in the area. Explore by day and relax around the fire pit at night roasting marshmallows. This isn't the treehouse you grew up with. 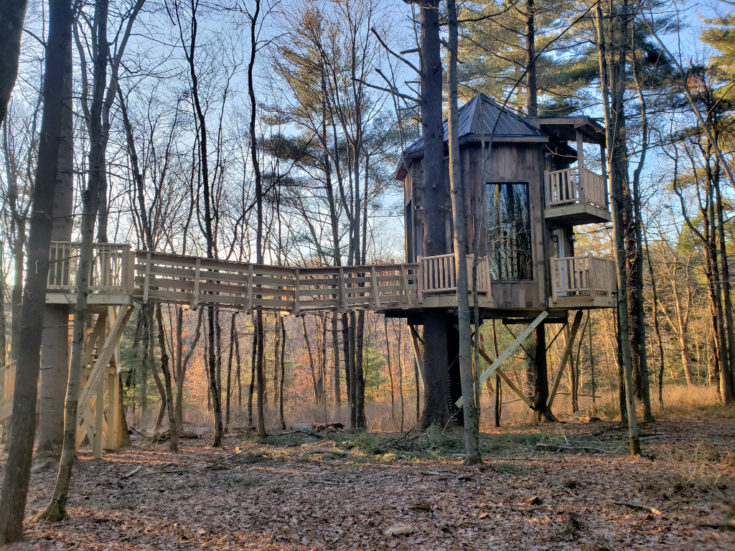 Unplug and relax as a couple or family in this unique two-story treehouse situated within Ohio's only treehouse village. Do you want to camp but don't like the work that goes along with it? 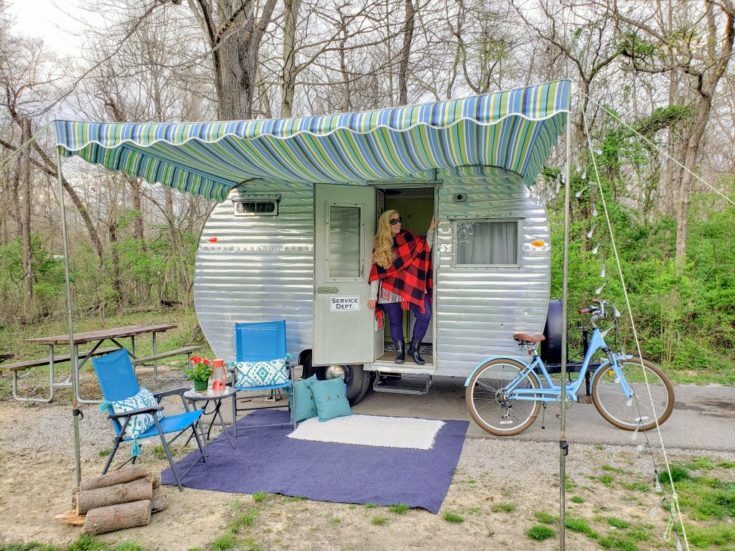 Did you know you can rent a vintage camper and have it set and waiting for you at select campgrounds? Lustron homes were once the home of the future but you'll find very few have survived or have been kept close to their original condition. 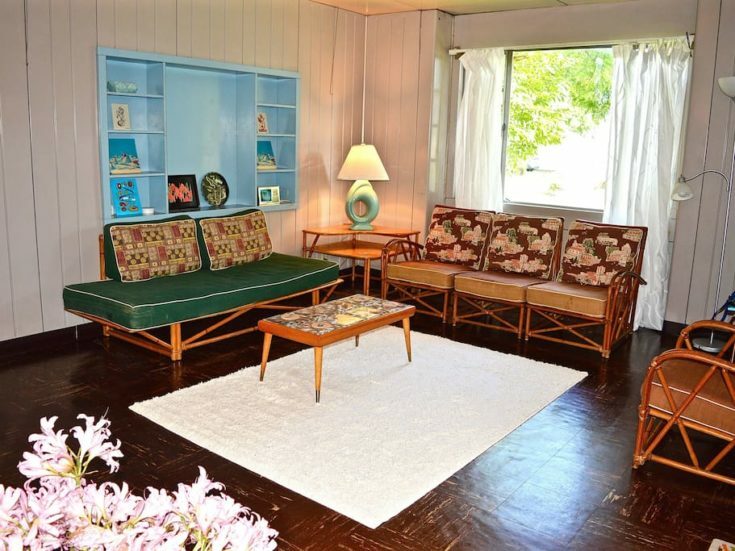 This home near Dayton that welcomes overnight guests is a rare find. This secluded adults-only property offers several lodging options. 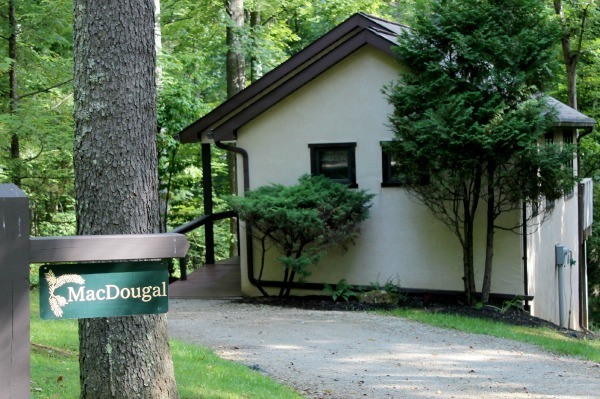 From cute crofts, to cabins to rooms and suites in the manor and carriage house, you'll be transported to the Scottish Highlands right here in Hocking Hills. Can you imagine waking up to this view? 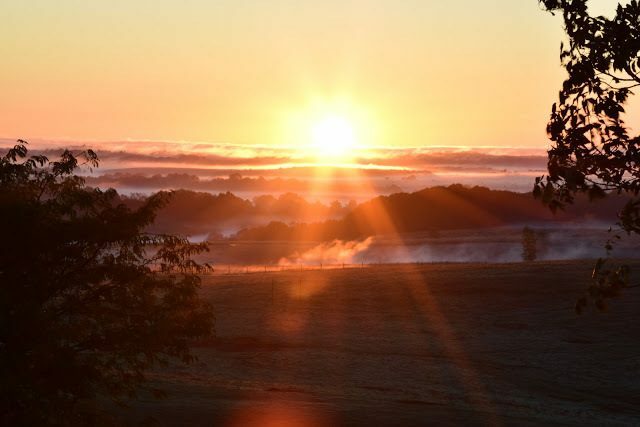 That's not the only perk you'll find when you spend the night at Nomad Ridge at The Wilds in southeastern Ohio. 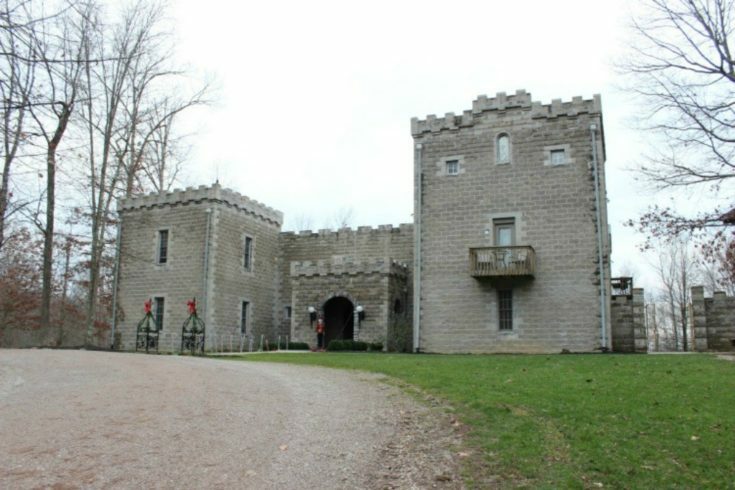 Tucked away in Hocking Hills, the castle and village offer options for couples, families, and groups and provide access to what may be the largest board game collection on earth. If you’re looking for more things to do in Ohio, check out this post ——-> The Ultimate Bucket List of 100’s of the Best Things to do in Ohio. And if you’re looking for unique places to stay outside of Ohio, check out the Wigwam Motel in Kentucky. It’s one of only three that remain in the United States and it’s definitely worth the trip to check it out. Have you stayed at any of the properties on our list? Have you stayed somewhere else that you thought was really memorable and unique in Ohio? Where was it and what did you love? Leave us a comment below and share your experience. Interesting! Ohio has been on my bucket list. I’m glad to know there are some unique accommodation options to choose from! Will have to tack this onto a trip to US! Ohio has many gems that people just don’t know about. I hope you’re able to visit! I’d like to try to stay in a castle even for a night, I think it will be a thrilling experience. They may not be true castles but they are fun to explore and stay in. Thanks for this tips! I may bring my family along in one of these next time. Love it – what unique little getaways. Who knew these existed. Thanks for bringing these to your readers. There are so many fun places to stay and explore in Ohio. As a fan of unique things to do, I love the option of staying in lodging that isn’t ordinary. Thanks for visiting!